Dina is one of the top three bus manufacturers in Mexico, and they’ve relied on AM Equipment for windshield wiper assemblies since 2008. Ten years! We probably need a cake to celebrate. AM Equipment developed multiple wiper system solutions with the bus industry in mind, and Dina uses a variety of those systems. Dina is the leading manufacturer of natural gas buses in Mexico, and their RunnerG and LinnerG lines use our 2 Driver Pantograph Plug & Play Assemblies. In 2016, Dina became the first company to manufacture electric trolley buses in Mexico. Their electric Ridder line also uses our 2 Driver Pantograph Plug & Play Assemblies. 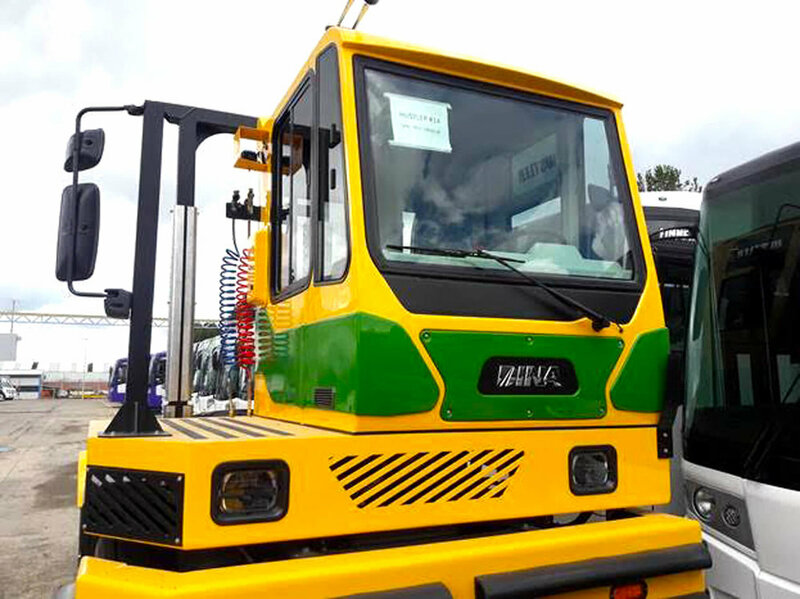 Just this year, Dina introduced their first port tractor units, which are equipped with our 1 Driver Radial Plug & Play Assemblies. A port tractor is pictured above. If you’d like more information on our windshield wiper assemblies for public transportation applications, get in touch!